" It is very fine to look back on the lives of the great spiritual teachers, but equally, it is not particularly romantic. They had the same problems and difficulties in searching for the teachings that we have in this century. So there's always hope for us all; we don't particularly have to be born perfect. We could just be ordinary people; perfectly ordinary in the rugged sense; but equally we have a chance to develop spiritual understanding, as well as to attain enlightenment." 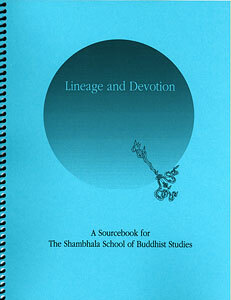 --Chögyam Trungpa Rinpoche, Jewel Ornament of Liberation Seminar, Karme Choling, 1970. 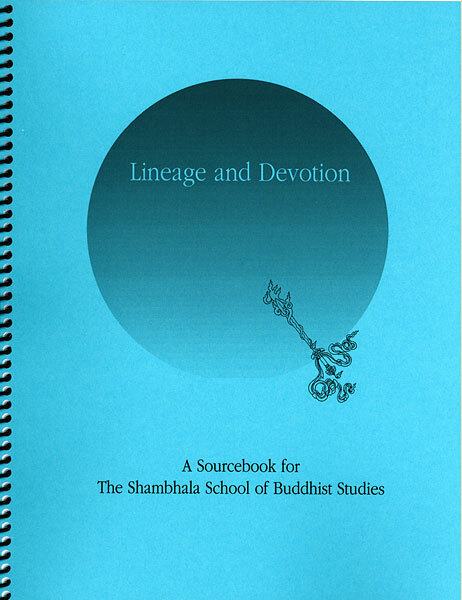 This sourcebook is a compilation of talks on the Shambhala Buddhist lineage by the Vidyadhara Chögyam Trungpa Rinpoche, Sakyong Mipham Rinpoche, Reginald A. Ray and Robin Kornman.